recognizing “OrigamiUSA 2012” on June 22-25th, 2012. 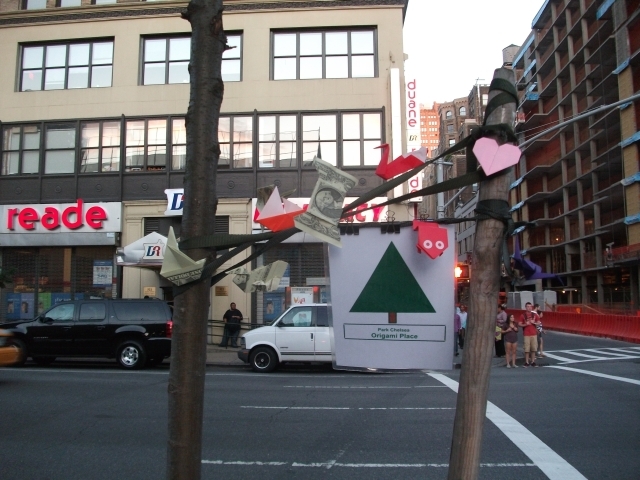 WHEREAS, Origami USA 2012 participants have promised to place several Origami creations at Park Chelsea's Park and Community Garden on 26th St and 8th Ave, NW Corner. WHEREAS, Lillian Oppenheimer, storyteller, puppeteer and founder of the Origami center was a friend of Ranger Bob, Park Chelsea Parks Commissioner. 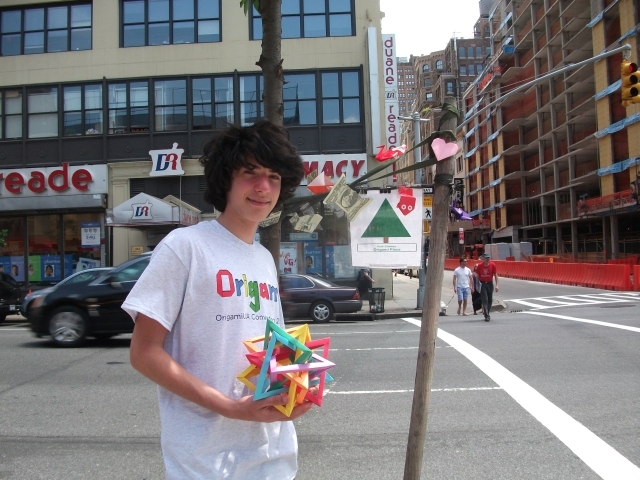 NOW, THEREFORE, BE IT RESOLVED, that ParkChelsea hereby officially recognize the OrigamiUSA 2012 to be in the best interest of the citizens of Chelsea and that henceforth the site of Park Chelsea's Park and Community Garden on 26th St and 8th Ave, NW Corner shall be known as Origami Place (in memory of Lillian Oppenheimer) from June 23,2012 to June 25, 2012.